"This code is a piece of crap! You have no honor!" "By filing this bug you have questioned my family honor. Prepare to die!" "You question the worthiness of my Code?! I should kill you where you stand!" "Our competitors are without honor!" "Specs are for the weak and timid!" "This machine is a piece of GAGH! I need dual Pentium processors if I am to do battle with this code!" "Perhaps it IS a good day to Die! I say we ship it!" "My program has just dumped Stova Core!" "Behold, the keyboard of Kalis! The greatest Klingon code warrior that ever lived!" But I disagree. Klingons prefer hand-to-hand combat to Phasers. You just know that they'd want to use a Z80 for real-time image processing. So here is my list of things you might hear from the Klingon in the cube next to yours. "I have challenged the entire ISO-9000 review team to a round of Bat-Leth practice on the holodeck. They will not concern us again." "C++? That is for children. A Klingon Warrior uses only machine code, keyed in on the front panel switches in raw binary." "Debugging? Klingons do not debug. Bugs are good for building character in the user." "Defensive programming? Never! Klingon programs are always on the offense. Yes, Offensive programming is what we do best." "Klingon programs don't do accountancy. For that, you need a Farengi programmer." "Klingon multitasking systems do not support "time-sharing". When a Klingon program wants to run, it challenges the scheduler in hand-to-hand combat and owns the machine." "You humans call this thing a 'cursor' and you move it with 'mouse'! Bah! A Klingon would not use such a device. We have a Karaghht-Gnot - which is best translated as "An Aiming Daggar of 16x16 pixels" and we move it using a Gshnarrrf which is a creature from the Klingon homeworld which posesses just one, (disproportionately large) testicle...which it rubs along the ground.....uh do we really need to talk about this?" "Klingons do not make software 'releases'. Our software 'escapes'. Typically leaving a trail of wounded programmers in it's wake." 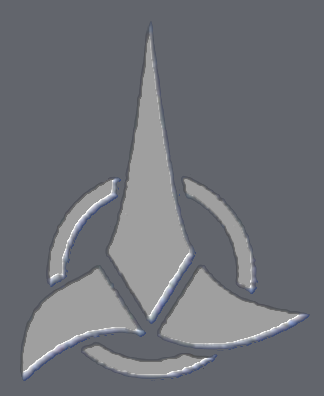 "Microsoft is actually a secret Farengi-Klingon alliance designed to cripple the Federation. The Farengi are doing the marketing and the Klingons are writing the code." "Klingons do not believe in indentation - except perhaps in the skulls of their program managers." "You can't truly appreciate Dilbert unless you read it in the original Klingon." Klingons have those furrows on their foreheads as a result of an unfortunate interaction between the introduction of Klingon email smileys and their native character set.